Nintendo Admits 3DS Sales Are "Below Expectations"
Despite a lot of hype and strong initial sales, the 3DS hasn't sold as well as Nintendo would've liked. In spite of some incredibly optimistic early predictions and a massive number of pre-orders, Nintendo's 3DS system hasn't sold as well as a lot of folks expected. Even Nintendo has admitted that the handheld isn't doing as well as it hoped. Nintendo president Satoru Iwata, when speaking to investors at E3, explained that, "It's fair to say that while Nintendo 3DS had a strong launch day, the results since then have not met our expectations. By which I mean to say that although pre-orders for this system were very strong and initial impressions of this system were very positive, those early indicators stand in conflict with where the system is at today. So, I can't say there are no issues at present." This isn't too surprising. Back in September, Nintendo predicted that 4 million units would be sold within the first month of system's launch. Initial sales were great, but the 3DS's first month didn't quite measure up to the early predictions. 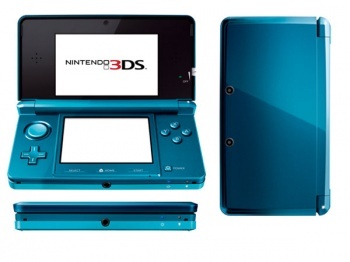 As a result, GameStop announced that it expected slower 3DS sales in the future. According to Iwata, though, this isn't too surprising: "The current situation resulted from the fact that the delay of developing Nintendo 3DS software and launching online services, like Nintendo eShop, 3D video services and so forth, occurred simultaneously, so we could not meet people's high expectations that they had before its launch, and we did not see momentum after the launch." However, in spite of the slower sales, Iwata doesn't seem too worried. He thinks sales will pick up once more heavily-anticipated games - like The Legend of Zelda: Ocarina of Time 3D - are released, as well as when the Nintendo eShop and 3D video services come online.